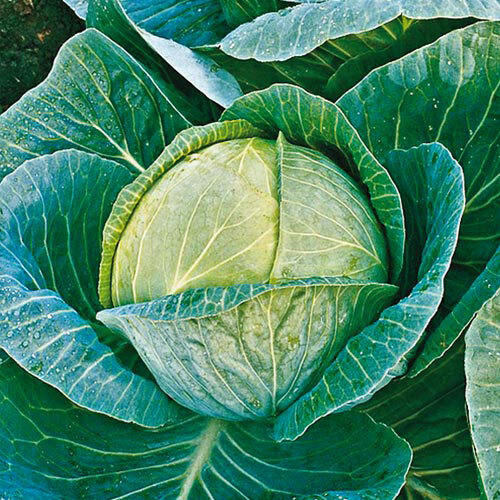 Megaton Hybrid Cabbage | Gurney's Seed & Nursery Co. Enormous heads hold well without cracking and have a sweet, mild flavor that is wonderful as slaw or sauerkraut. Good disease resistance. 105 DAYS. CommentsProduces giant heads- up to 22 lbs! Even at such a large size, heads hold well without cracking and flavor remains sweet & mild. Depth1/4 in. Seeds sown indoors should be started 5-7 weeks before the date the plants are to be set out. Maintain a temperature of 70-75 degrees Fahrenheit in a sterile seed starting medium.